I was listening to Harry Chapin as we drove to Sandusky last night. Another storyteller that we lost too soon. Happy Thanksgiving, Bobbie Dee and Dave. The Crosley record player was made here in Cincinnati by the Crosley Corporation. Powel Crosley also owned the Cincinnati Reds where the first night baseball was played at Crosley Field. His WLW Radio was America’s most powerful radio station (500,000 watts) and was the home of Rosemary Clooney and Doris Day. It could be heard by our soldiers in Europe during World War 2. WOW…What a wonderful history this Crosley record player has. Thinking of our WW2 Soldiers listening to Doris Day sing them home on WLW gave me such a nostalgic feeling. 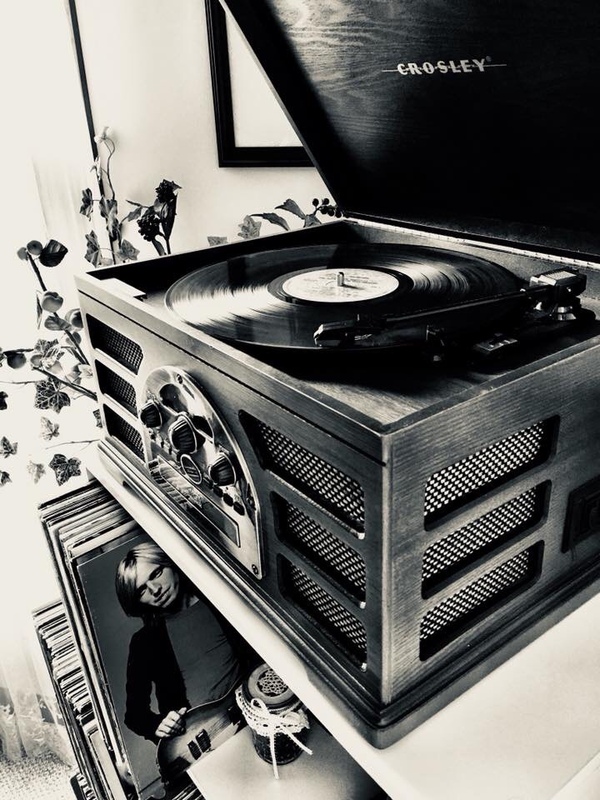 My own vinyl collection includes my parents oldies, Herb Alpert and the Tijuana Brass, Doris Day, Andy Williams, Dean Martin, and so many more. Thank you, Randy! Powel Crosley also produced automobiles and refrigerators. An amazing entrepreneur. Have you read a biography about Powel Crosley, Randy? Anything you could recommend?